With the snow melting away and the sun shining, I feel warm and hopeful and glad to wear something other than snow boots. My skis are put away and I’ve even slipped on some flip-flops. My toes are happy! Spring is a time for new beginnings. Soon the wild flowers will emerge from the earth and there’s talk of planting seeds on the radio. I, too, am embarking on a new beginning. When we moved to this beautiful valley last summer, I knew I was starting on a journey but had no idea what direction it might take. I mentioned previously that I’ve been keeping busy (an understatement!) with a new project. I’m delighted to tell you a bit about it now – it’s a kitchen and home store! A fantastic opportunity emerged and I decided to jump on it. I’m beyond excited! You never know what life will bring, do you? I’ve been learning and planning and painting and designing and ordering and falling into bed exhausted every night. But it’s thrilling and a whole new adventure to embrace. Needless to say, I haven’t been cooking much lately and I miss it! One evening before I collapsed I just had to get back into the kitchen. I made a little sweet that didn’t involve any cooking but still scratched the itch (and was delicious! ): Chocolate Date Truffles. My dear friend, Tristan, gave me the original recipe (thank you again!). 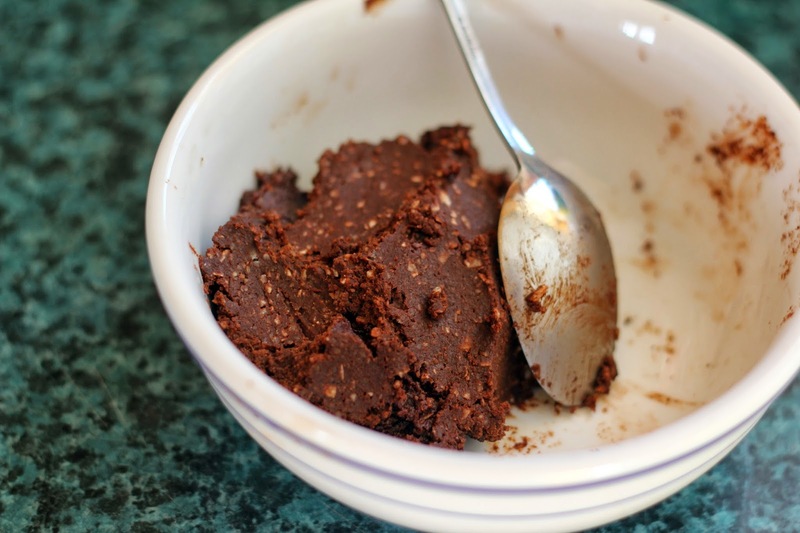 Raw cashews are whirled in the food processor with honey, cacao powder, vanilla and shredded coconut to create a rich, lightly sweet truffle to scoop and roll. I began nibbling right away! 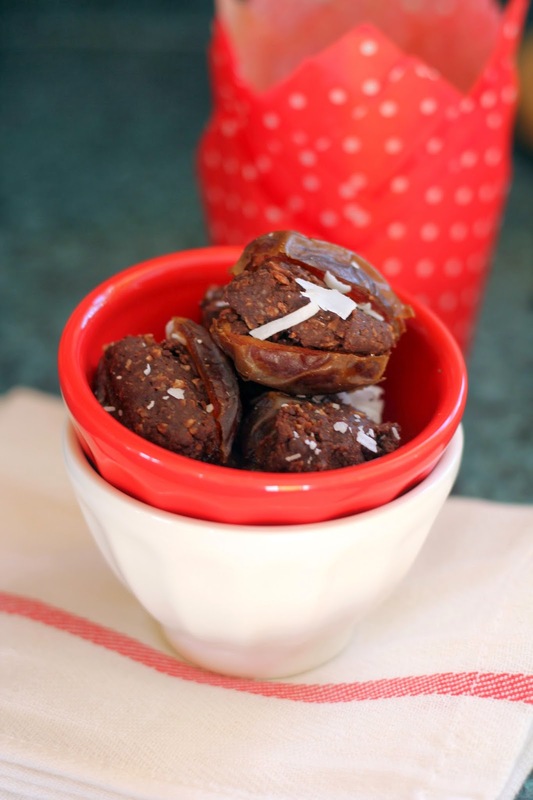 The original recipe calls for rolling in citrus zest, nuts or seeds, but I decided to stuff some luscious, plump dates with it instead. What an indulgent treat! These didn’t last long and I know I’ll be making them again soon. Off to the shop now – I can’t wait to share details and photos with you in a couple of weeks after we’ve opened. 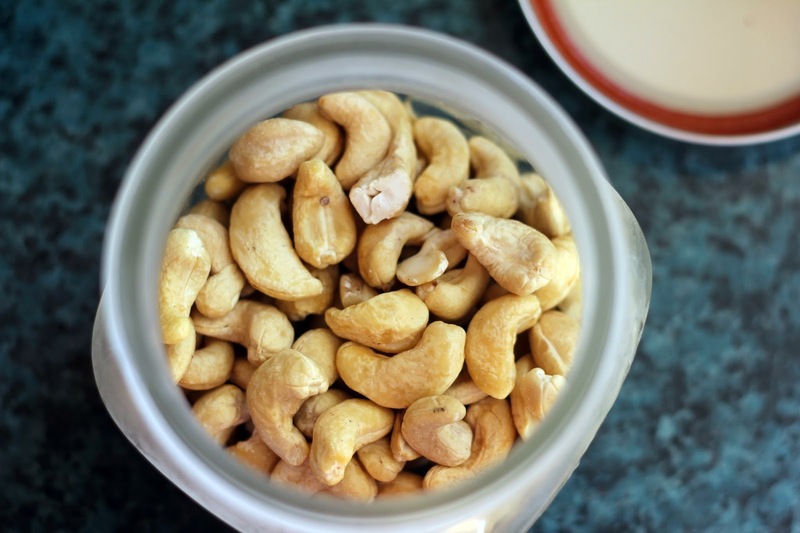 Add the drained cashews and honey to the bowl of a food processor and process until smooth, stopping to scrape the sides once. Add the cacao powder, vanilla, kosher salt and coconut and process until well combined, stopping again to scrape the sides. Scrape the filling into a small bowl, cover and chill for about an hour. You can prep the filling the day before serving and leave to chill overnight, too. 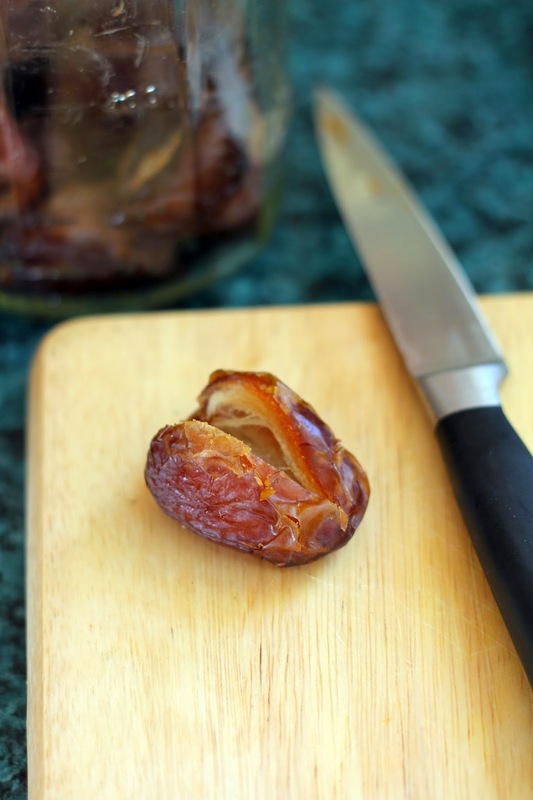 To assemble the truffle dates, slit each date open along one side and gently remove the pit. Place a small scoop of filling into each date and shape it to fit smoothly. 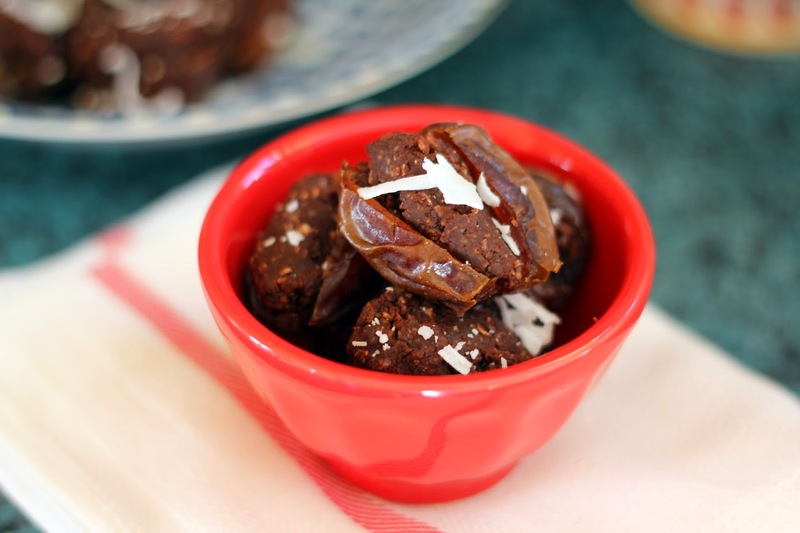 Arrange the dates on a serving plate and scatter a little coconut over the top. Indulge!